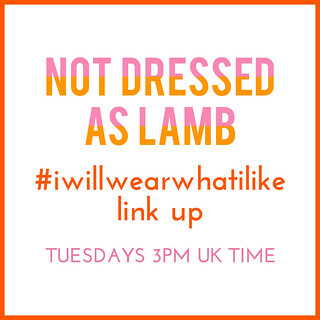 I’m so glad I chose sportswear as this week’s #iwillwearwhatilike link up theme: The weather was so horrifically grey, wet and windy over the weekend that any pretty dresses or ladylike outfits would have suffered horribly outside. 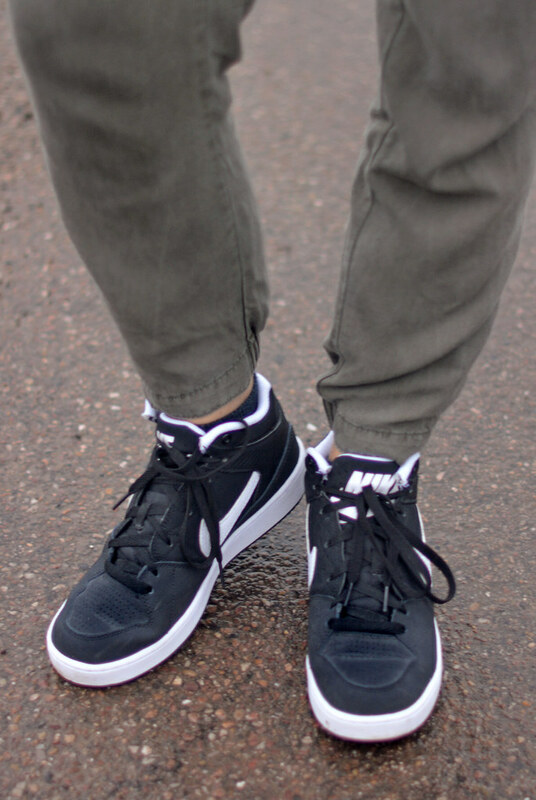 Luckily I could just about get away with a photo shoot of super-casual track pants and Nike hi-tops in this wind that’s still going on today (that we’ll have till mid-week at least apparently). THE WEATHER WAS SO HORRIFICALLY GREY, WET AND WINDY OVER THE WEEKEND THAT ANY PRETTY DRESSES OR LADYLIKE OUTFITS WOULD HAVE SUFFERED HORRIBLY OUTSIDE. My sportswear look is made of up of a few key pieces: The obvious Nike hi-tops (last seen here), the khaki track pants (so comfy) and the white scuba jacket (I just love the detailing on this piece). Although it looks freezing in the photos it wasn’t actually that cold… oh, but the wind! It was seriously blowing a gale and I’m amazed I stayed upright at all. Or managed to smile. I think I ended up grinning deliriously in the end from getting blown about so much. Must mention last week’s link up: So many amazing bold pattern outfits were linked up last week, so don’t miss the ones I’ve featured below. It’s fantastic to see it’s not just the 20-somethings who can rock bright, bold clothes…! What sportswear (or sportswear-inspired) pieces do you own and wear? Are you a fan of the sports-luxe look or enjoy a simple jeans n’ sneakers look – tell me in the comments or tweet me @notlamb! Clever to put the blue sweater underneath it. Looks really nice. I didn't have anything sporty to show, so I didn't join this iwearwhatilike. Catherine, that gorgeous sweater is a piece of art…love it. 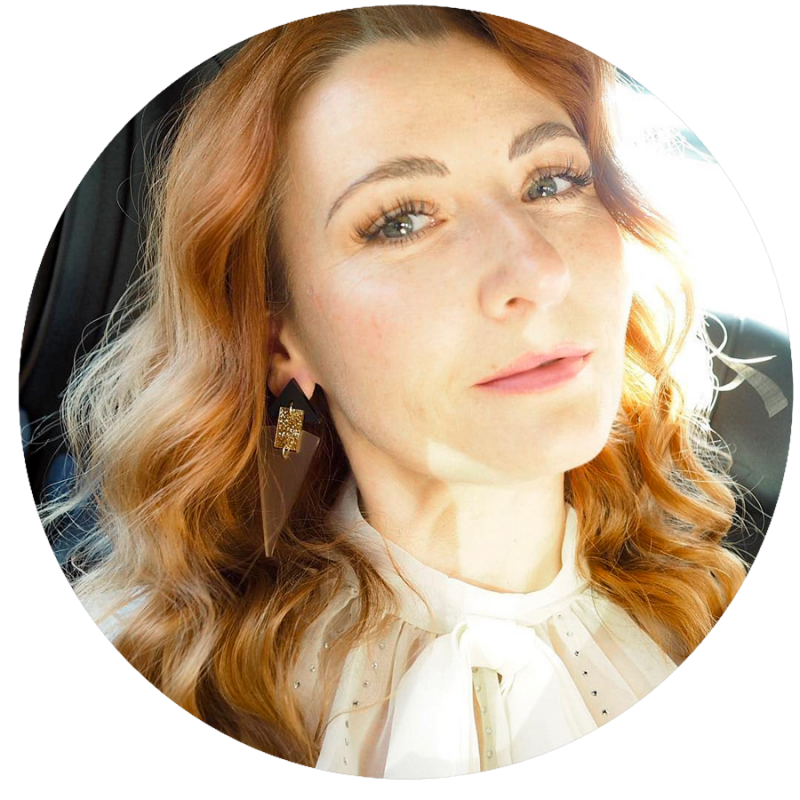 Thanks for sharing your stylish point of view on the My Refined Style Linkup! I love this outfit – especially the trousers – they look awesome on you! Catherine, I came back. I mean, I kind of had to right? I wear sneakers everyday. I am #sportswear right now–as I laugh at myself! Last night (stay tuned for the pic later on today on Instagram), I wore sequin pants with my sneakers. I mean, what has my style come to!? LOL. But, despite it all, I'm just (trying to) maintaining confidence with it all because if I think my sneakers look great with sequins, well, then they do!!! Hahah! This outfit looks comfy. We are having the same weather as you it seems. That's okay, for Toronto it is quite decent weather for this time of year. I really like this look! Your scarf looks so nice & cozy! And I really like the sneakers; I don't own any nice sneakers, but I've been thinking of getting some. I love your stencil jacket and runners. And I adore your pattern picks from last week – such strong, bold women, stunning. I cheer their style! 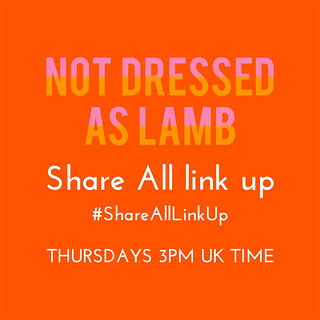 Thanks for hosting this linkup. You look so cozy and chic in your outfit! Hi Catherine, what a thrill to be chosen in your Bold Pattern week. Thank you so much for bringing me into the inner sanctum. I love the process of linking up and the opportunity to see all these lovely women stutting their stuff, and with such style! 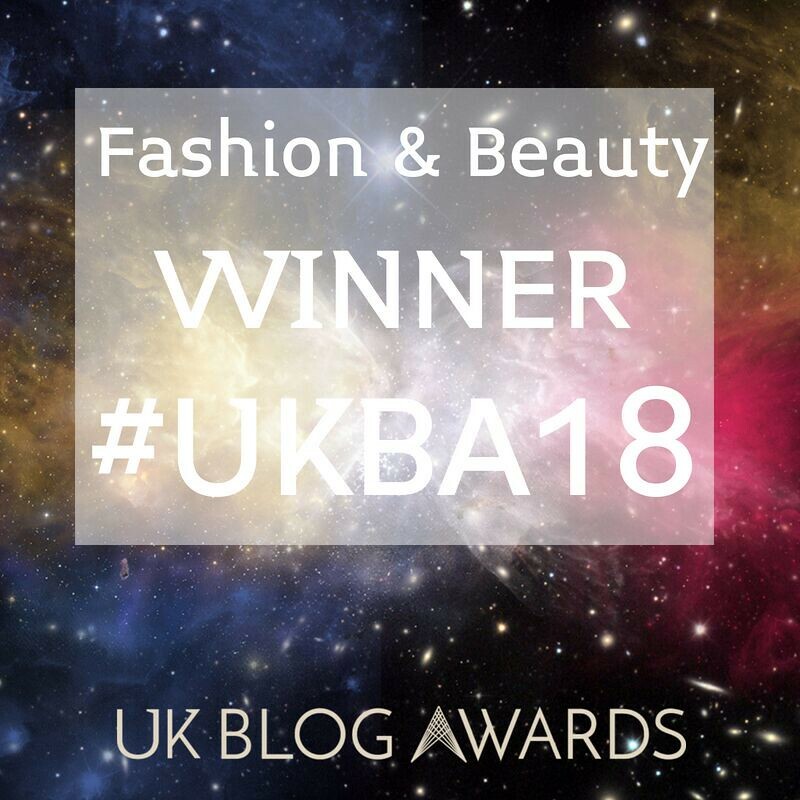 You've been a guiding light for me right from the start when your advice and tips on how to start a blog helped me take my first tentative step. I refer to your pages all the time in an effort to learn and improve my posts. I love your funky jacket today and how you've styled it – the casual sporty look really suits you. Your look is fresh and fun, lovely! First off! WoW! You liked my crazy pants with leopard huh?! Awesome sauce!! Thank you for highlighting me. That squeal I get when featured happened in the middle of the night when I couldn't sleep, and thought to myself, Hey! 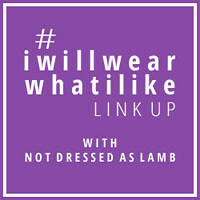 You can link up to #iwillwearwhatilike. This time around I linked up from Instagram since my feed is filled with runners! I limited myself to five, but maybe I'll go back for round two. From you outfit I especially love that scuba jacket, I thought it was maybe wool. It looks luxe all delicate with the cutouts. We are just cooling down here in HK, and it's LOVELY! Thanks for the link up and thanks to you for linking up to mine. Always love seeing you there! Catherine, only you could make sportswear look so totally chic! Fabulous! Thank you Jess – the weather hasn't really improved till today!!! Whoa, you make sportswear cool!!! I love it! You look brilliant!!!! The cut outs are sensational! I love the detailing, so pretty! Thanks for your like on my facebook thing- that was really kind! Sigh, the girl in front keeps getting further and further in front of me though I am only 85 behind now! Yay! Love the cutouts on that jacket, really takes the look up another notch! Great look, Catherine! 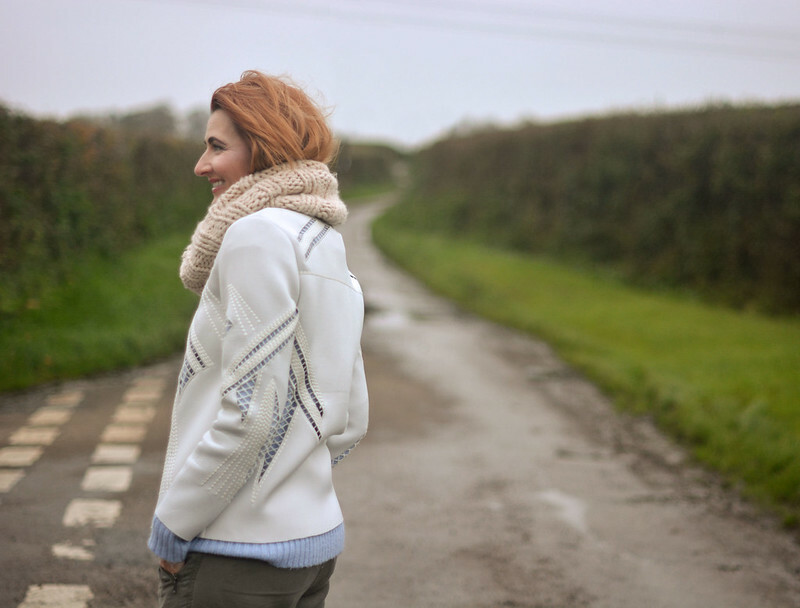 Something I would wear – and I love the winter white jacket. Yes, it's the bad weather season, for the next few months. What a great look! Your jacket rules!! I love it! Great look! Obsessed with the trouser pants and the detailing on the white scuba crew. Love how you styled this look. Thank you Mary! The track pants are such a comfy alternative to skinnies and I rather love scuba fabric right now. The holey design did mean I needed a sweater underneath, though! Thank you Jamie!! I really should wear it more often…! Glad to join you once more, dear Catherine.